Happy Holidays to all of you! Summer is really here and the heat has really curbed my baking addiction. 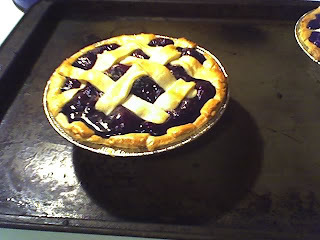 Here is a blueberry pie I made with fresh local berries picked over on Greenhill Road. The berries grown here are organic and super big and juicy! I plan to go tubing down the river and enjoy the summer weather. Hope you are all enjoying the holiday and warm weather!